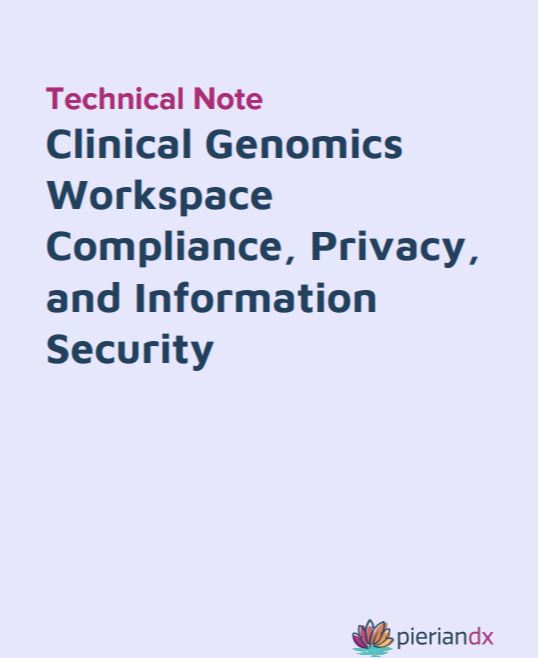 The act of storing, analyzing, and managing genomic data makes an ideal application for today’s cloud computing technologies. These technologies enable laboratories to minimize their capital investments, collaborate more easily, scale when sample volumes grow, and easily access the resulting data from anywhere. Learn about the comprehensive approach and features put in place by PierianDx that help keep sensitive data secure.